Rise Up, Women! (2018) tells the remarkable story of the militant women’s suffrage movement in the United Kingdom. 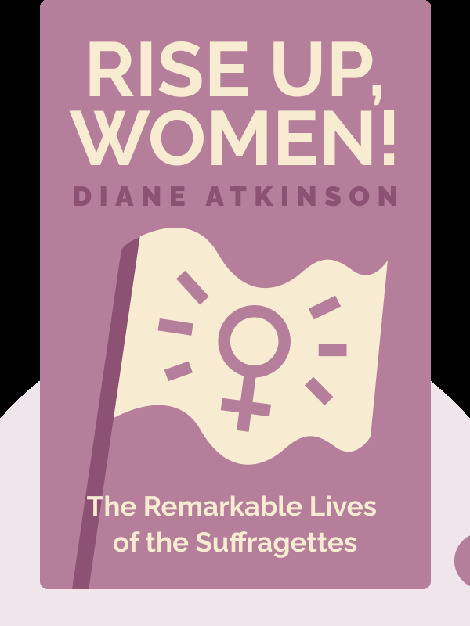 Full of fascinating insights into the women at the heart of the struggle for equality, these blinks illuminate one of the twentieth century’s first great civil rights revolutions. 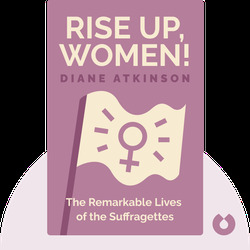 Diane Atkinson is a writer who regularly lectures on the suffragettes. A consultant on the 2015 film Suffragette, she has also worked with many documentary makers. Her previous books include Suffragettes in Pictures, Funny Girls and Elsie and Mairi Go to War.